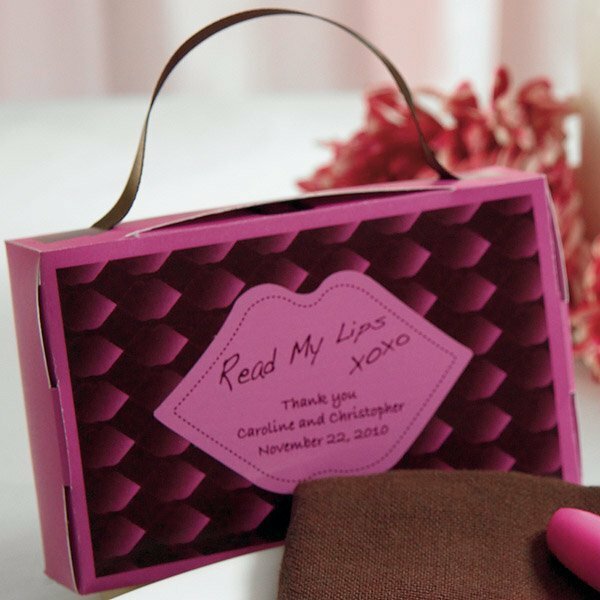 Add a little attitude to your small wedding guest gifts, wedding favors or other party favors. 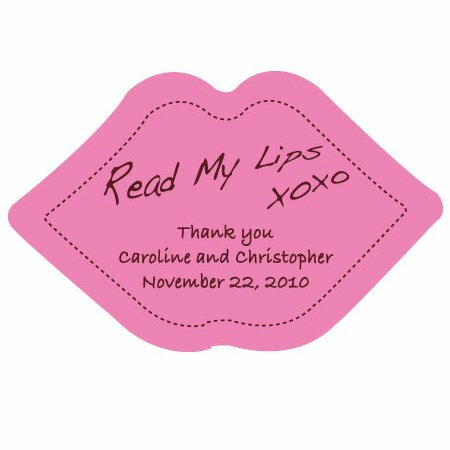 They are personalized with up to 3 lines of text below the 'Read My Lips' caption. 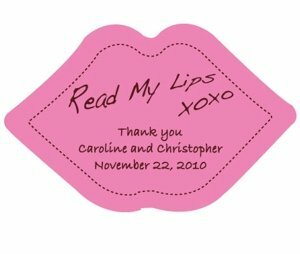 They are especially well suited for customizing our Lip-Shaped Sticky Note and Lipstick Pen favors (sold separately). The minimum order is 36 stickers. Product dimensions: 2.75 x 1.75".